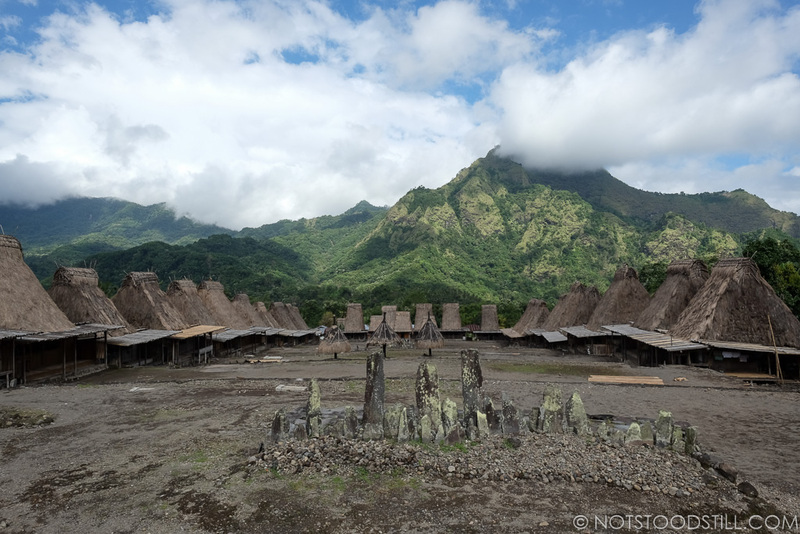 Gunung Inerie (2245m tall) towers over Bajawa. Bena Traditional Village is nestled in the dense forests. 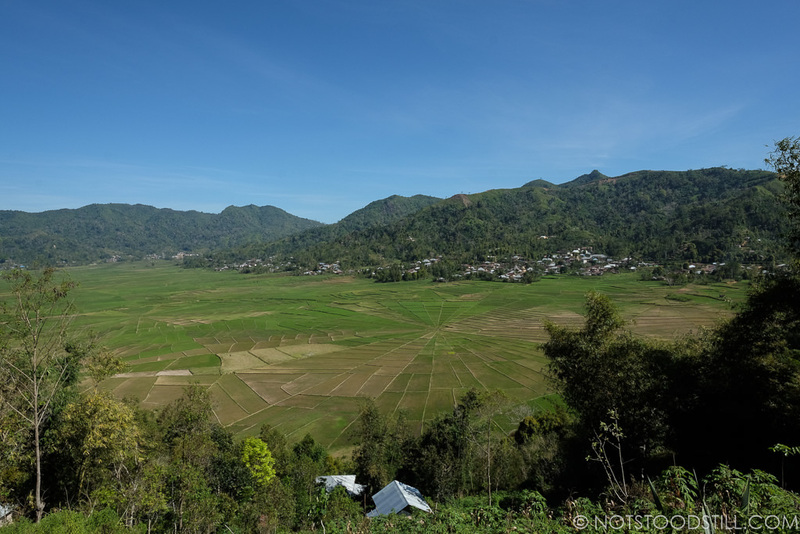 Vast rice fields shaped in a spider web form near Ruteng. 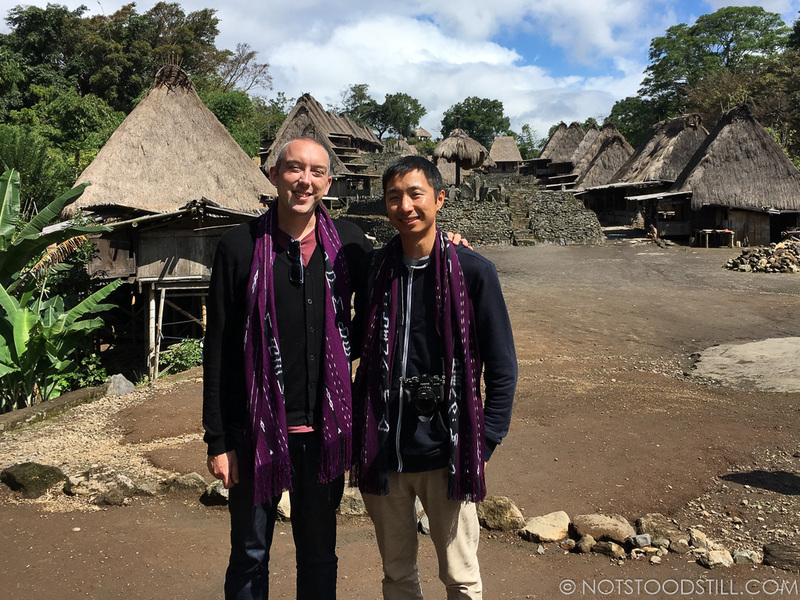 Moving on from Moni, we hired a private driver to take us to the small town of Bajawa for a base to visit the local villages, in the shadow of Gunung Inerie. Supply and demand is king in Moni during peak season, so the driver charged 1,000,000 rupiah for the day. 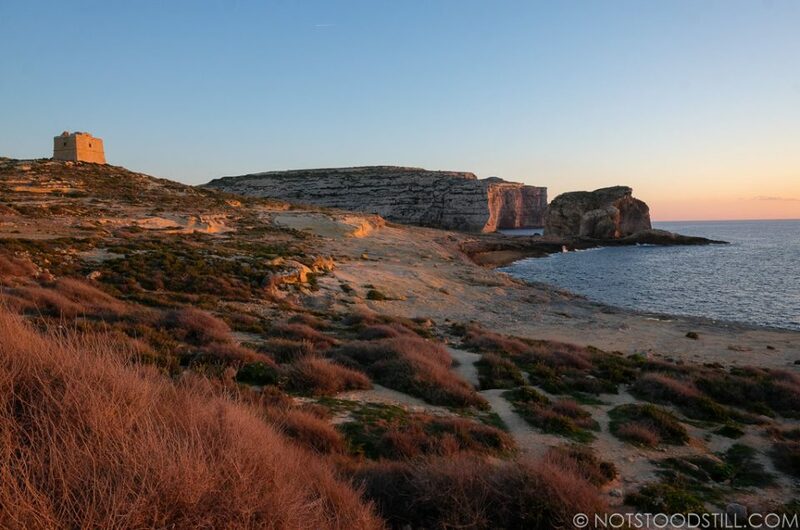 The drive takes around 5 hours, but you can stop for photos of the beautiful scenery and stop for lunch on route. You can of course take the local bus, but forfeit the stops and a ticket is around 80,000 – 100,000 rupiah. We stayed at Queen’s Homestay in Bajawa, ran by a lovely family and sat back away from the main road, which kept us away from the noisy traffic. Rooms start at 200,000 rupiah per night and includes a light breakfast. WiFi is also available here and there are several small shops, restaurants/warungs and a tourist information a few minutes walk away. The guesthouse also has hot showers, which we vere grateful for as the climate is a lot cooler. Our favourite place was Milonari as it had a good menu of local dishes for good prices. The tofu curry was particularly good, as was the staple nasi and mie goreng. There aren’t an abundance of places to eat here as it is only a small town, but most restaurants were located around this area. To get around, it is easiest by motorcycle. Roads are in good condition, if a little narrow in places and very windy. Drive steady! We hired a bike from Queen’s for 100,000 per day and petrol was between 10,000 and 15,000 per bottle. Bena Village is one the easily accessible villages by road. 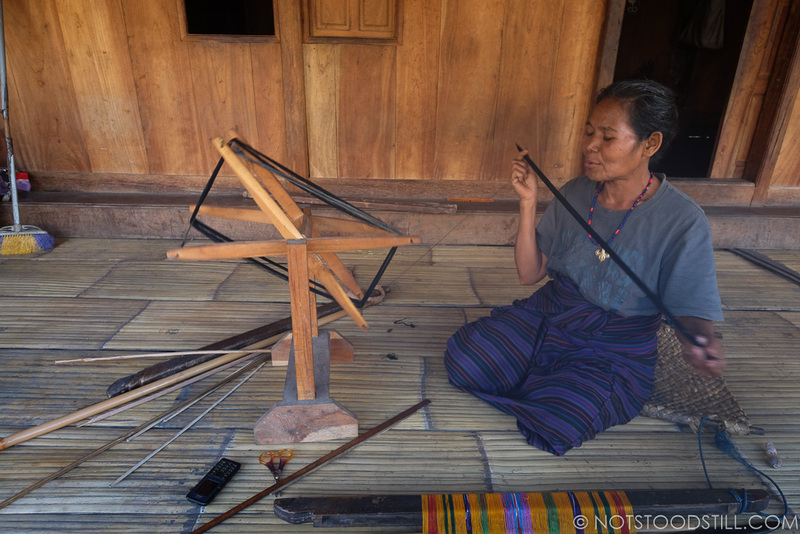 Villagers make crafts to sell to visitors. 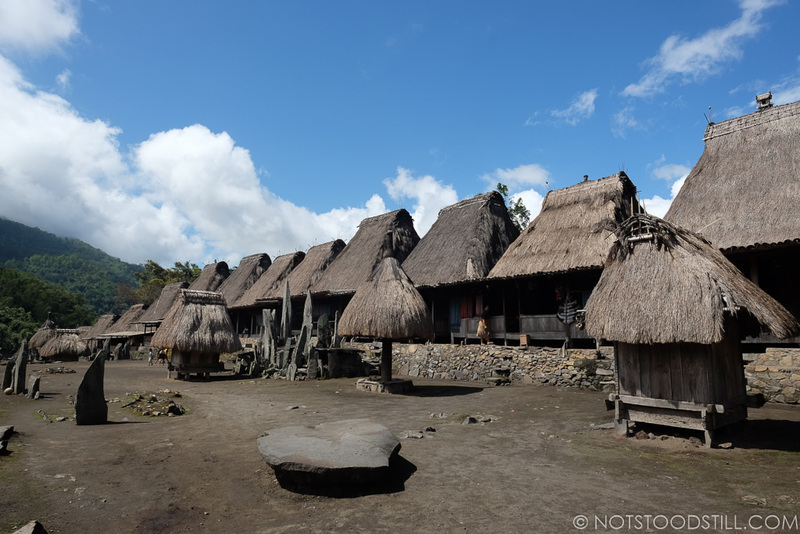 Bena is a traditional village around 30 minutes drive away and costs 25,000 to visit. It’s traditional houses are nested between the hills around a small square and gives you the chance to see a working local life. The villagers here are wonderfully friendly and happy to have you wandering the village, but of course ask before taking any photos of people. On the way to Bena Village, call by the Manulanu Panaroma (across the road from Manulanu Bed & Breakfast). 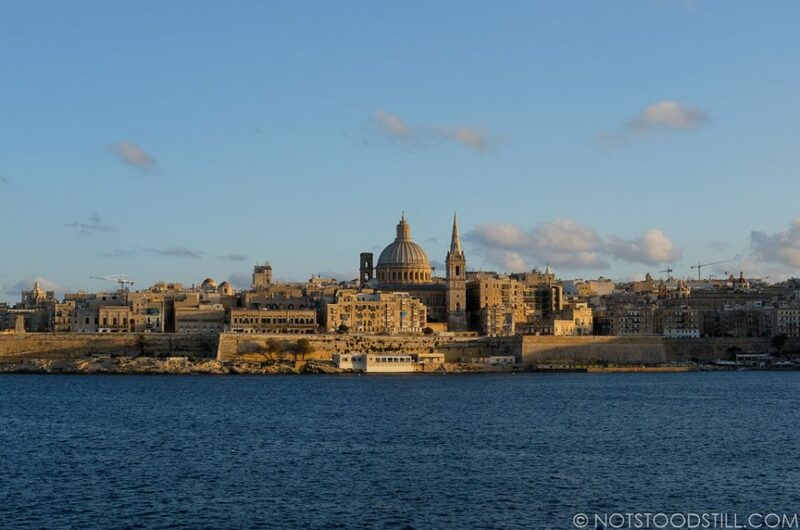 There is a small entrance fee to pay, but the views from this garden are amazing! 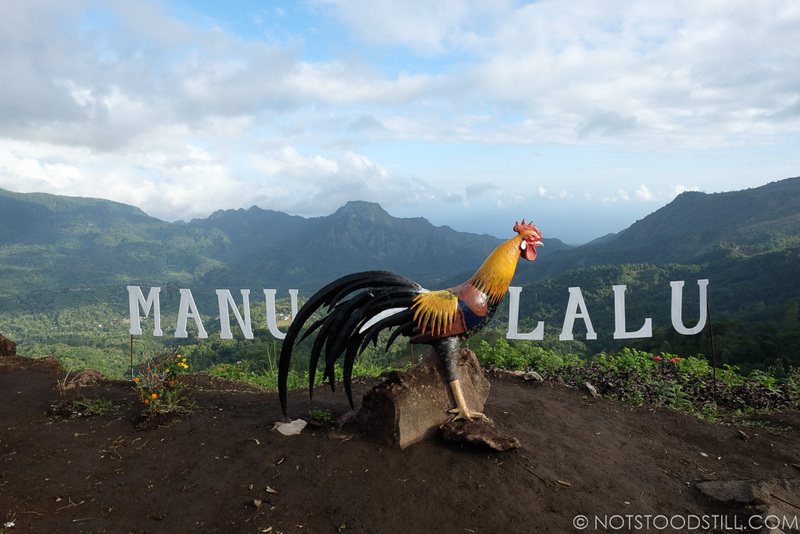 At Manulanu Panaroma viewpoint – hard to ignore this oversized rooster! Around another 30 minutes from Bena is Gurusina, but at the time of writing there were huge road repairs taking place so hold on tight and drive carefully through the muddy trails. There is no entry fee for this village, but a donation is asked for – we gave the same as we did at Bena. Again, the homes are built around the square and people are going about their daily routines. It’s a nice stop to get insight into the traditional way of life. If you are feeling energetic, there are plenty of hiking trails around Bajawa as the area is filled with forested, extinct volcanoes. Wawomudha is a shorter hike; around two hours each way from Bajawa. 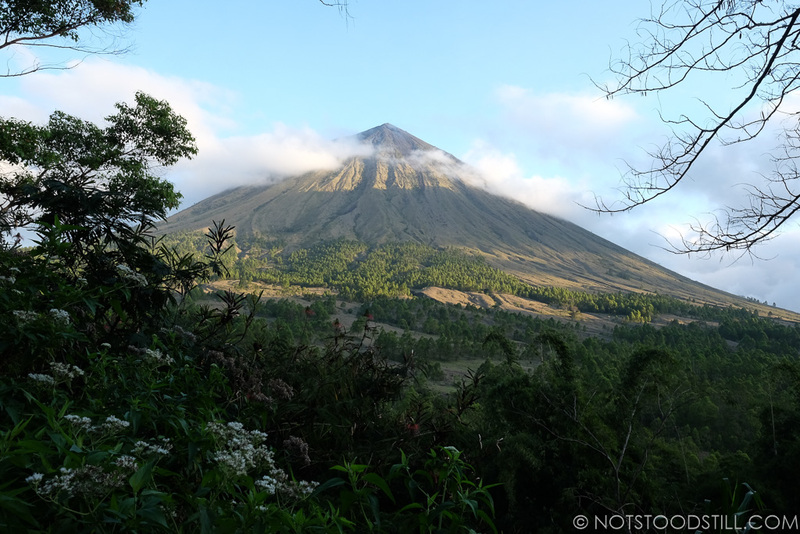 Watu Nariwowo offers a good view towards Inerie and if you want to tackle the giant itself, you can, although after seeing it, you might have a rethink as it is one steep climb! We spent a very enjoyable 3 nights here and would have happily stayed a few more as there is plenty to keep you occupied, but as we had a time frame we had to move on. 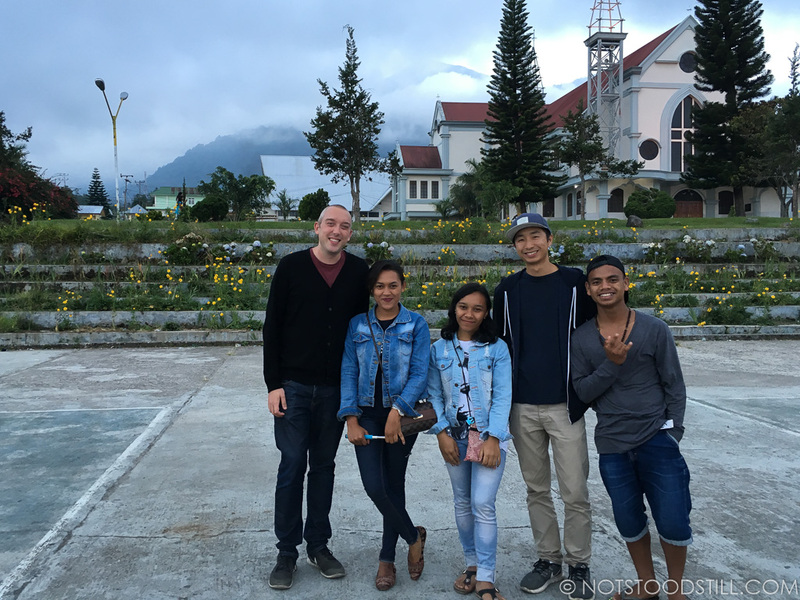 Ruteng is the capital of the Manggarai district and we decided to spend a night here to break up an otherwise 9 hour drive to Labuan Bajo. At first glance, Ruteng is like other towns in the area, albeit a bit bigger, but it has shops to do a bit of stocking up if you need to. We stayed in the very comfortable MJR Ticketing Guest House in the centre of town. Rooms with a private bathroom are around 350,000 rupiah, but are large with decent beds and good WiFi. The breakfast here was also one of the best we have had in Flores, and there was plenty of it. The shared bathroom also has hot showers with good water pressure. We came across the Kopi Mane coffee shop, which has lovely coffees and a basic menu. The mie goreng here was a good portion, but the nasi ayam (rice and chicken) was quite small. There are also more warungs along the main road, close to the guesthouse. We bumped into a group of students who were learning English, and they asked if they could go for a walk with us to practice speaking. They showed us the cathedral, which was a nice building in the centre before inviting us to their boarding house. Being slightly cautious we did agree, and we were so pleased we did. We ended up chatting for a good few hours with the guys, sat on the beds in a very basic building. 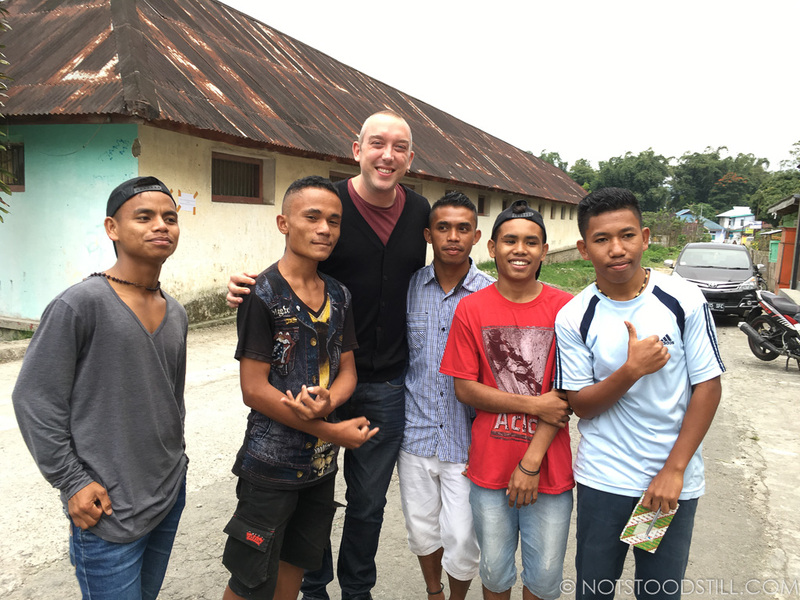 We heard how their parents are miles away, working in the fields to send the kids to school and seeing how they lived was a real eye-opener and one of the most humbling experiences we had. We met the student’s English teacher (next to Rob) and shown round their school grounds. We were given coffee and made sure we were comfortable and the boys took so many photos with us. If you do end up accosted, definitely take so time to chat; if we were staying longer, we would have visited the school the following day to help out. It is also worth pointing out that we were never asked for anything once, so don’t be shy! After a far too brief a stay, we had to move on and we met a Dutch couple who were also heading to Labuan Bajo the following day. We booked a car together and for 400,000 rupiah per couple. 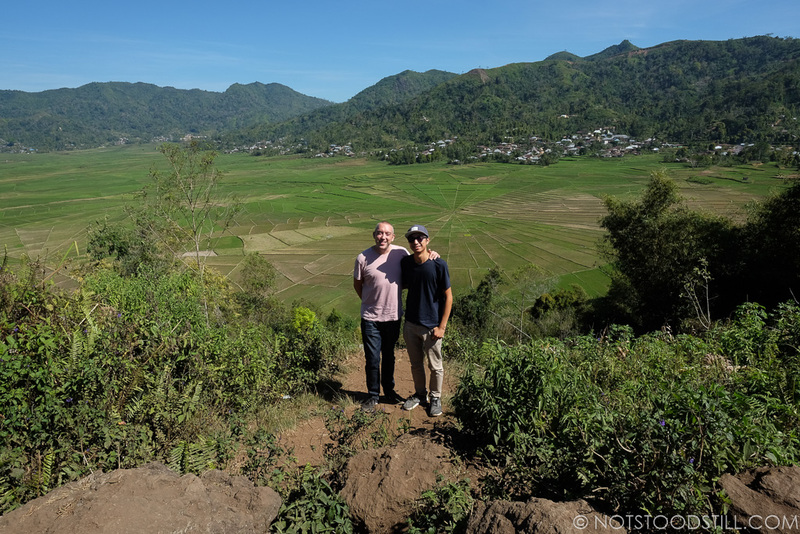 On leaving Ruteng we asked our driver to call by the Spider Web Rice Fields just a few minutes drive from town. 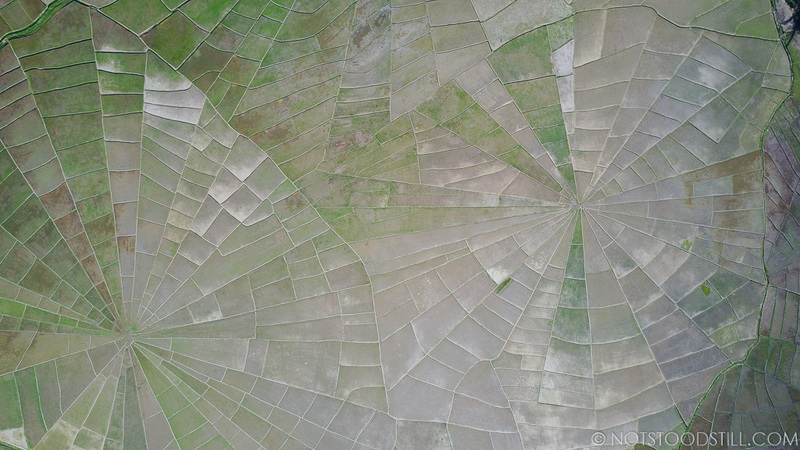 From above, the spider web rice fields of Ruteng. To see more photos of our Flores trip, click here for the full photo album. Accommodation can be basic, but the places we stayed were clean (bar the back of the bathroom door, which seems to be the norm here) and very hospitable. There is a shortage of affordable places to stay in the high season, book early if you can and where possible ring the accommodation to confirm they have your booking (we have seen overbooking a few times in Flores). Transport between towns can normally be arranged with your accommodation, the cost can be pricey for a private car in the high season as much as 2m rupiah (£112). But you can barter or if you can ask other travellers going in the same direction as you – to share your car and break up the costs. 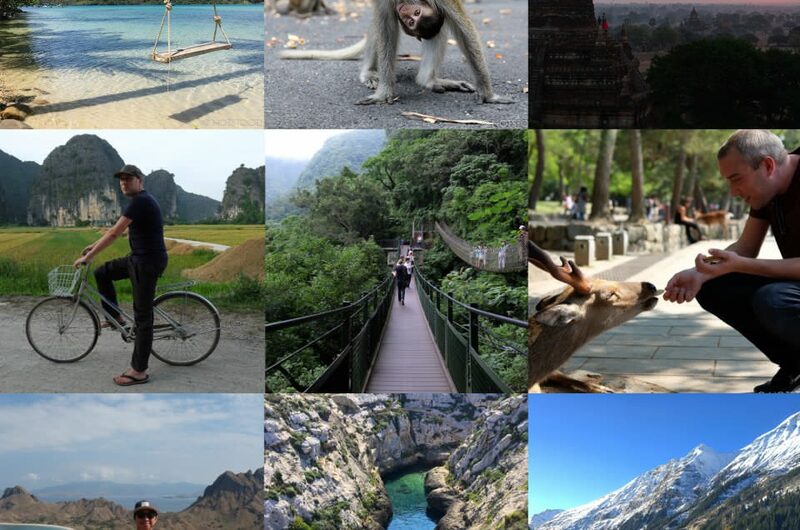 Meeting other travellers on your journey and exchanging tips and places to stay will help you in Flores. Some of the accommodation where we stayed where recommendations from others. Read Part 3 here, after two weeks of travel through Flores we finally reach our last stop, Labuan Bajo. We arranged a boat tour to take us to see the largest lizards on earth.